New Delhi: When Indian Prime Minister Narendra Modi and Indonesian President Joko Widodo sit down for talks this week, a likely outcome could be the green-lighting of negotiations that could see Jakarta asking for a slightly bigger bite of the Indian Ocean. The Indian prime minister will be arriving in Jakarta on Tuesday, May 29, for a three-day visit, where the maritime links between the two countries will be emphasised. In 1974, India and Indonesia had signed an agreement for demarcating the continental shelf between Great Nicobar Island and Sumatra. Three years later, another pact was signed to extend the continental shelf boundary between the two states into the Andaman Sea and the Indian Ocean. However, there is now a push from Jakarta to sign a separate agreement to delimit the exclusive economic zone (EEZ), to allow for stronger defence against illegal poaching and transhipment. âWe agreed on an agreement on the continental shelf in 1974. At that time, EEZ did not yet exist. After UNCLOS, EEZ was born, and we need to delimit it,â Damos D. Agusman, director general for legal affairs and international treaties, Indonesian Ministry of Foreign Affairs, told The Wire. Under international law, continental shelf and EEZ are two separate maritime zones. The continental shelf refers to the seabed as it extends from the land towards the ocean, while the EEZ delineates the water body itself. A stateâs economic rights on its continental shelf are for non-living resources, like mining. However, the EEZ, a creation of the 1982 UN Convention on the Law of the Sea, encompasses both non-living and living resources, thereby ranging from oil drilling to fishing rights. As per the UNCLOS, the limit of a nationâs continental shelf and EEZ is 200 nautical miles. However, a continental shelf can be extended up to 350 nautical miles after submission to the Commission on the Limits of the Continental Shelf. If the distance between two opposing countries is less than 400 nautical miles, then the boundary of the continental shelf and EEZ have to be decided by bilateral negotiations. The distance between the two closest land points on India and Indonesia is just 80 nautical miles. Last year, the technical teams met for the first time, where both sides agreed on the need for a new agreement for the exclusive economic zone. However, officials also discovered that there was disagreement on the way to go forward. India essentially wants the line demarcating the continental shelf to be based on the line for the continental shelf. Indonesia disagrees. âWe have started (negotiations) last year, but had different views on the scope. India viewed that the negotiation only to extend the existing line to undelimited waters. Indonesia asserts that the existing line is only on the continental shelf. We need to draw EEZ line in the same areas,â said Agusman. He was in India last month and held informal discussions with his counterpart in the Indian Ministry of External Affairs. The next round of talks is expected to be held in August. In Jakarta this week, this could feature in the bilateral document released after formal talks between Prime Minister Modi and President Widodo. The joint s tatement would likely have a paragraph acknowledging the negotiations of the EEZ boundary, with a guidance to reach an agreement soon, as per diplomatic sources. India has signed maritime boundary agreements with all its neighbours, except Bangladesh and Pakistan. The boundary question with Bangladesh was settled via international arbitration in 2014. With Indonesia and Thailand, the maritime agreement specifically refers to the seabed or the continental shelf, while the rest of the pacts only mention a single maritime boundary which is both the EEZ and CS line. âNegotiations are less complicated if there is a single maritime boundary which includes both the continental shelf and the EEZ, since, firstly, even though they are mentioned in two different articles of the Convention, both Article 74 and 83 stipulate that delimitation shall be effected by agreement âin order to achieve an equitable solution,'â said Narinder Singh, former MEA additional secretary ( legal and treaties). With Indonesia, it could be the first time that Indiaâs EEZ boundary is different from the continental shelf line. I Made Andi Arsana, an Indonesian expert on the law of the sea, told The Wire that Indonesiaâs claim was not exactly the same as the continental shelf, âbut not so much significantly different eitherâ. 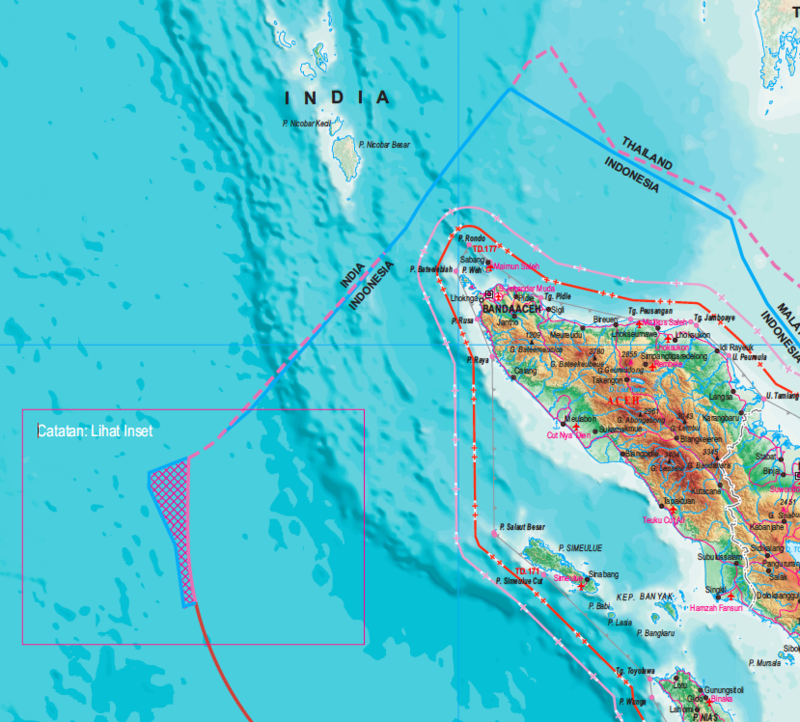 If India and Indonesia agree to a new EEZ boundary line, there will be a particular area, where the seabed may belong to India but water column to Indonesia. This could potentially create problems in the implementation of economic rights, but under international law, it is sound. âThe law of the sea says that delimitation of EEZ between states should achieve an âequitab le solutionâ. The meaning of this is very wideâ¦ What we have, may be impractical or unpragmatic, but legally viable,â said Arsana, who was also a member of the India-Indonesia Eminent Persons Group. The 1974 continental shelf line between India and Indonesia is âmore or less based on the equidistantâ principle. As per this concept, the maritime boundary should be equidistant from the baselines of neighbouring countries. The âbaselineâ is defined under UNCLOS as âthe line from which the seaward limits of a stateâs territorial sea and certain other maritime zones of jurisdiction are measuredâ. Arsana noted that while âbaselineâ for India was synonymous with its coastline, Indonesiaâs baseline is based on the special provis ions allowed for archipelagic states. Since the concept of archipelagic states evolved only in the 1982 convention, the calculation of the EEZ based on this special baseline was âone of the reasonsâ for the relatively minor divergence of the Indonesian claims from the existing continental shelf boundary, he said. Indonesia has signed EEZ agreement with the Philippines, Australia and Papua New Guinea, with negotiations pending with Malaysia and Vietnam. 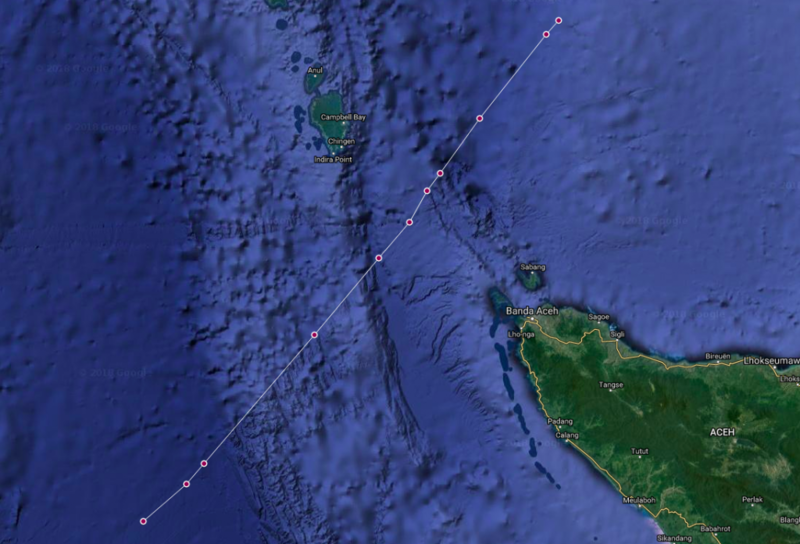 âIn the case of Australia, the line dividing the water column is different from the seabed,â said Arsana, a professor at the Universitas Gadjah Madaâs Department of Geodetic Engineering. Indonesia has proposed a new EEZ line to Malaysia which is different from the continental shelf boundary. Malaysia has suggested the old line. Indonesiaâs concerted move to clarify its maritime boundaries, according to Arsana, is part of its re-orientation towards the oceans as part of it Global Maritime Fulcrum policy. âThe top priority is to clarify our boundaries so that we can optimally use our resources,â he said. The Indonesian government estimates that the country suffers losses worth $20 billion annually from illegal fishing. Since 2014, the Indonesian government has implemented an aggressive policy of destroying foreign fishing vessels found to be illegally fishing in its waters. In 2016, Indonesia naval forces had clashed with the Chinese fishermen in the waters around Natuna Islands. It even named that part of its EEZ, which was within Chinaâs nine-dash line in South China Sea, as North Natuna sea. This policy of destroying hundreds of foreign-flagged fishing vessels has apparently made the fisheries minister, Susi Pudjiastuti as the most popular member in the Indonesian cabinet. âWe canât say if someone has stolen our fish if we canât tell whether the foreign ship has moved into our part of the EEZ,â said Arsana.